Turmeric, Curcuma longa, is native to Southern Asia, and is mostly grown in India. The Roots and Bulbs of Turmeric are used in medicine, and are available as a Capsule, Fluid Extract, or as a Tincture (UMMC). Turmeric is also known as Indian Saffron, Curcumin, and Jiang Huang. It has Circuminoids, which have Antioxidant Activity and Inhibit Inflammation Mediating Molecules. Antioxidants protect Cells and DNA in our bodies against Oxygen Free Radicals (Sloan Kettering). Turmeric’s Anti-Inflammatory Activity is helpful in individuals with Osteoarthritis. In a study conducted, 2 grams per day Turmeric Extract over 6 weeks proved to work equally as well as Ibuprofen in easing pain in individuals with Knee Osteoarthritis (Kuptniratsaikul, Thanakhumtorn, Chinswangwatanakul, et al 891-897). Turmeric can also be used in the treatment of Ulcerative Colitis. 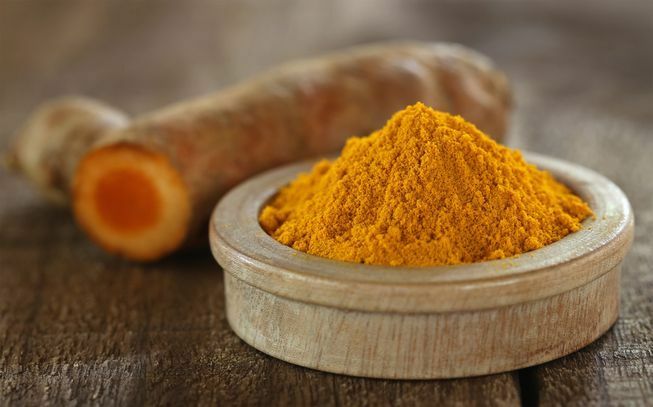 In a study conducted, individuals with Ulcerative Colitis who were given Turmeric had a decreased likelihood of having a relapse compared to a group of individual who received a placebo (Hanai, Iida, Takeuchi, and et al 1502-1506). The University of Maryland Medical Center also cites a study in which Turmeric relieved symptoms in individuals with indigestion (UMMC). Lastly, Turmeric might be useful for Chronic Uveitis. In a study conducted, Turmeric given to 32 individuals resulted in improve vision. In this particular study, Turmeric was deemed as efficacious as corticosteroids (White, and Judkins 155-156). Turmeric is safe to use. On rare occasions, it may cause Allergic Dermatitis or Contact Urticaria (Sloan-Kettering). Women who are pregnant or nursing and individuals with Diabetes should not take Turmeric. Turmeric should not be taken if you are on Anticoagulants, since it can increase the risk of bleeding. Turmeric can also increase stomach acid production, so it should not be taken with drugs intended to reduce stomach acid. Lastly, it should not be taken with Diabetes Medications, since it can cause blood sugar levels to drop too low (UMMC). Ehrlich, Steven, NMD. “Turmeric.” University of Maryland Medical Center. N.p., 4 May 2011. Web. 3 Jul 2012. Hanai, H, T Iida, K Takeuchi, et al. “Curcumin maintenance therapy for ulcerative colitis: randomized, multicenter, double-blind, placebo-controlled trial..” Clinical Gastroenterology and Hepatology. 4.12 (2006): 1502-1506. Web. 2 Jul. 2012. Kuptniratsaikul, V, S Thanakhumtorn, P Chinswangwatanakul, et al, et al. “Efficacy and safety of Curcuma domestica extracts in patients with knee osteoarthritis..” Journal of Alternative and Complementary Medicine. 15.8 (2009): 891-897. Web. 2 Jul. 2012. “Turmeric.” Memorial Sloan-Kettering Cancer Center. N.p., 6 Jun 2012. Web. 3 Jul 2012. White, Brett, MD, and Dolores, MLS Judkins. “Does turmeric relieve.” Journal of Family Practice. 60.3 (2011): 155-156. Web. 3 Jul. 2012.